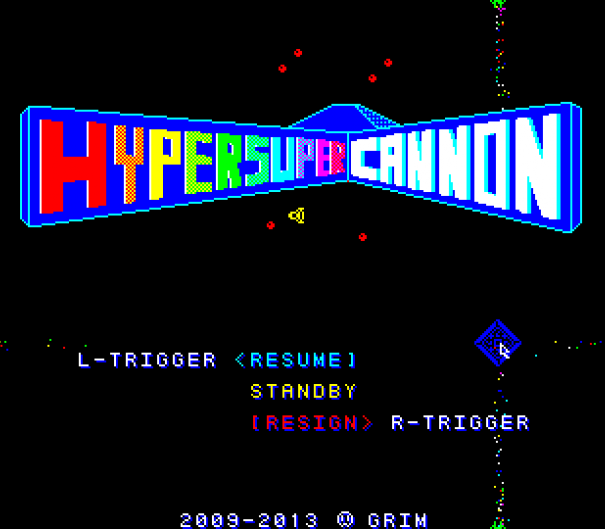 After what seems like an eternity in development, Retream's intense dot-matrix colour-matching puzzle-shmup hybrid Huenison is finally complete and just about ready to launch! You may recall our previous enthusiastic preview and update, but now you can finally descend into the mind control wells yourself and experience the game in the form of a short 5 level demo available from the Retream website. 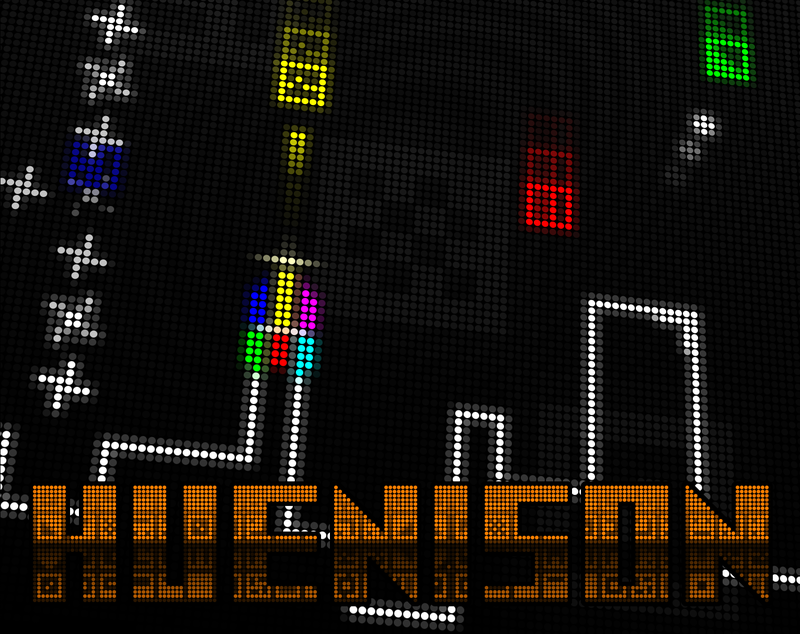 Huenison has been developed specifically for PC and AmigaOS 4, but on the systems we tested the game also ran flawlessly through WINE on both MacOS and Linux. With the full version of the game due for release via our online shop in two weeks time, the demo features 4 of the 9 game modes, 5 out of 25 levels, less bricks, bonuses, disturbances and music, no interludes, no ending and no online high score submission. In short, you get about a fifth of the full game for free, just enough to give a taster of the retro-gaming chaos to follow! 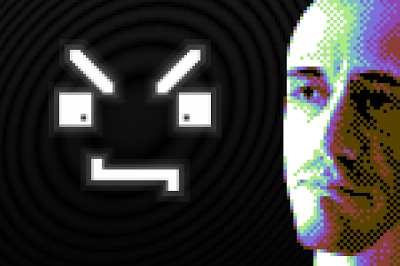 Whilst working on the final preparations for launch we managed to sit down and have a brief chat with Simone Bevilacqua, the sole-developer of the game, about his experience working with AmigaOS, SDL and the future of Retream. Outside of Retream I'm a simple office worker. I chose a job totally unrelated to software development, because it drives me nuts if I don't do it exclusively under the inspiration of my own little dreams, my own way, when I feel like and without any external pressure (the self-pressure I put on myself is already barely sustainable, after all). I have a few other interests, and no time to dedicate to them. Every now and then, I enjoy producing noise with my guitars and I love to play basketball, but now I'm too old and broken: so, to the big relief of all the backboards and rims in the world, I show up at playgrounds only very, very rarely. 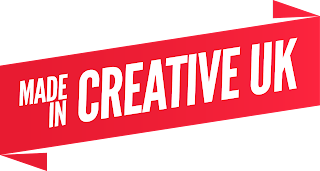 As for how I got into game development... Let me pack it in as few words as possible: kid, imagination conquered by the Commodore 64, got my own C64, started fiddling with it, passed to the Amiga, kept on fiddling, never been able to quit the addiction. 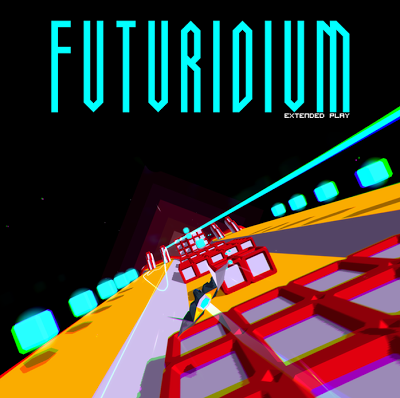 Made lots of different things, but lately focused on games - I guess it's because they are what struck me as a kid and because they provide the most complete development experience, given that, beside the logical thinking, there's also graphics, music and, of course, the gameplay aspect. 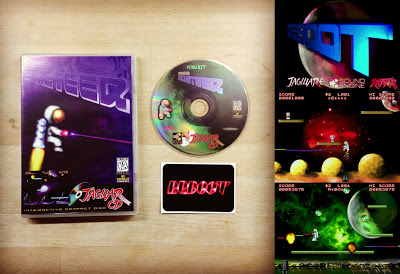 Being one of a minority of game developers who support the AmigaOS 4, can you explain your connection to this market? Is there actually any money to be made by developers in the Amiga scene in comparison to other platforms? 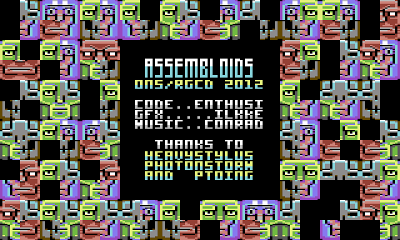 I simply stuck to the Amiga and used it as my main machine through the years, so my projects were naturally developed on it and for it. Regarding the market, I'm stating the obvious, I know, but the Amiga scene is so small that one just can't be in it for the money. The current trend seems to be for indie developers to use off-the-shelf development environments (such as Unity) that offer quick cross-platform porting. In contrast to this, you've always opted to build your own framework for game development. Can you explain the reasons why, as well as discuss the benefits and problems of this system? On the Amiga 1200 I used to hit directly the hardware, as that was much more fascinating than programming at OS level. And dealing with any OS APIs never felt that pleasant to me anyway. But on the AmigaOne and AmigaOS 4 that was not possible anymore, so I searched for an abstraction layer with a reasonably simple API that would allow me to focus on the code of my projects and spare me from the pain of digesting the OS API. I stumbled upon SDL, which, despite some shortcomings, offered exactly what I was looking for - and, as an added bonus, it was also multiplatform. Little by little, I created a framework of my own, made basically of scripts, custom libraries and SDL, and a tool chain that includes a few custom tools and SVN, make and gcc. The benefits are fundamentally two: I'm in control of pretty much everything and I can port my software easily to other platforms. No, wait, there's a third benefit: I have lots of fun and do lots of experience in development! The problem is that, sometimes, to achieve a certain result, it's necessary to first do a lot of work to produce the underlying technology, which might even be quite boring per se. In theory another problem would be that, of course, my framework is limited in comparison to what advanced environments offer... but it's a sort of moot point, because my framework completely fulfills my needs. 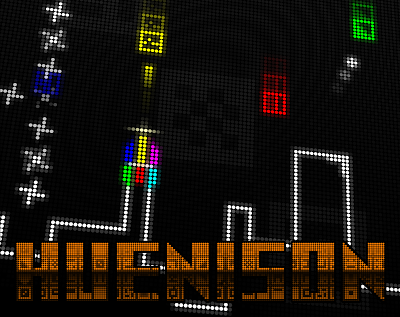 Finally, with Huenison finally reaching completion, what is next on the horizon from Retream? 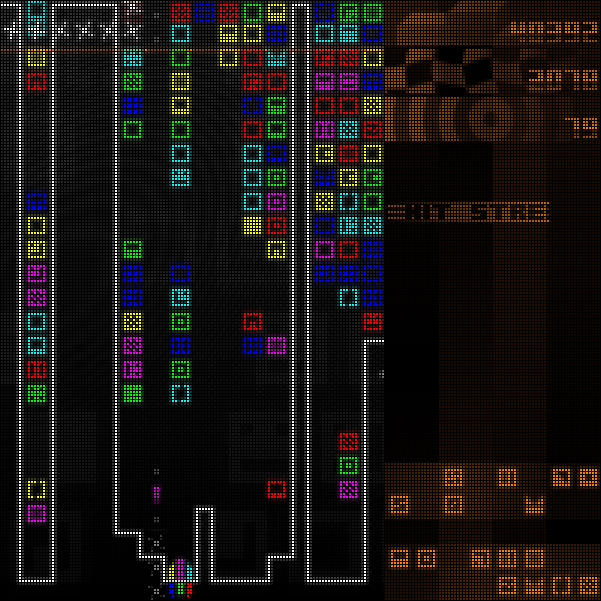 One of the little things I'm working on is a new version of QUOD INIT EXIT: I have already a build with some new interesting features ready, and I plan to add more until I've used each and every free CPU cycle and memory byte (but, honestly, I'm still at a loss as for what!). 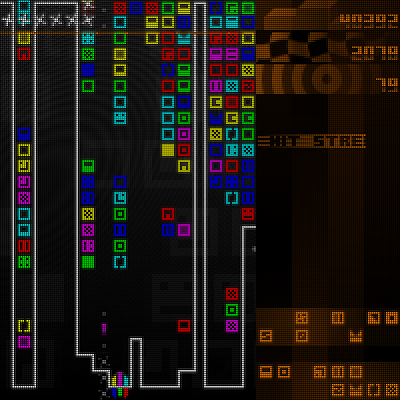 Another thing is a super-mega-ultra-hyper-final version of BOH. I tend to update my projects continuously and, moreover, I adapt them continuously to the framework, which is a live entity, subject also to incompatible changes whenever that allows for an improvement. BOH is part of this game and so it has improved since the latest update. On top of that, some BOH modules were reused in Huenison and, during the development of the latter, they improved significantly, so I want to backport them to BOH. And there's also another cool thing: but I don't know if it will be feasible and, anyway, I don't want to spoil the surprise. 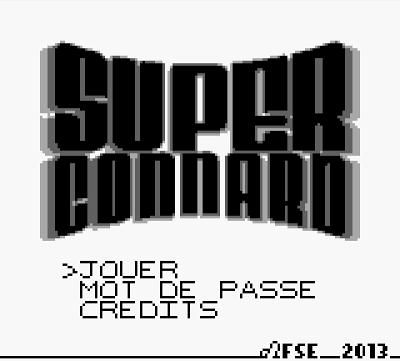 I feel also the urge to make another brand-new C64 game - I have had the base concept in my mind for more than a year now - but I don't know if it will ever see the light: at the same time, I'm considering whether I should stop developing altogether, because, while it's an activity that provides me with utmost satisfaction, still it's not giving much to the rest of the world... for sure I could use all my energies and capabilities for more important things. I don't know if I'll ever be able to break out of this form of selfishness. Time will tell. Blasting doors down with a fire hose, throwing innocent civilians through windows to their 'safety'? This can only be firefighting Mr Rescue style! 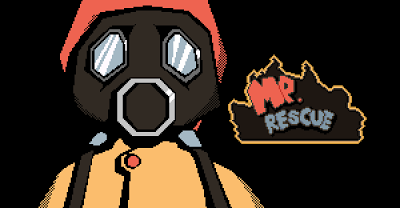 Mr Rescue puts the player in charge of the eponymous firefighter as he rescues citizens with gusto, defenestrating them to safety through three levels of what could clumsily be described as "2D 8-bit Habbo Hotel Towering Inferno". 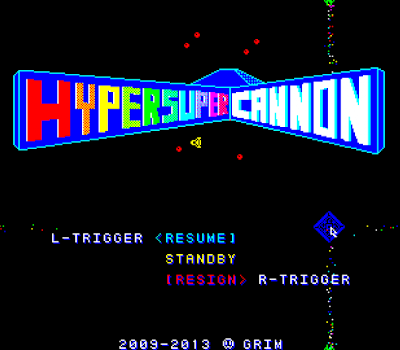 It's a platform rescue-em-up which plays quicker than fire rushing down a corridor in a special effects department. It's a whole lot of fun and a few attempts in I found myself totally immersed in the game, with a huge amount of satisfaction coming from each comical grab-and-throw rescue!